Earlier this month, we published a story with Warner Bros. and Fandango set to team up for special Shazam! screenings. They take place tomorrow, but fans can get a sneak peek of what to expect in a new clip from the film. The one-minute clip recently went up on Fandango’s Twitter page. In it, we get to see Zachary Levi have some fun with his character. He attempts to coerce young Darla to keep his secret when he accidentally reveals who he is. Then there’s an interesting explanation of how important it is to keep a secret. Billy’s friend Freddy explains how if his secret gets out there, it could endanger them with a particular supervillain. In this case, that probably means Dr. Thaddeus Sivana, played by Mark Strong. Even after explaining this, though, the boys express doubt that she can keep the secret. The clip is below. If you’re interested in catching one of tomorrow’s early screenings, you can check out Fandango’s website. From the look of things, there are still many tickets available. Really, though, it depends on your location. 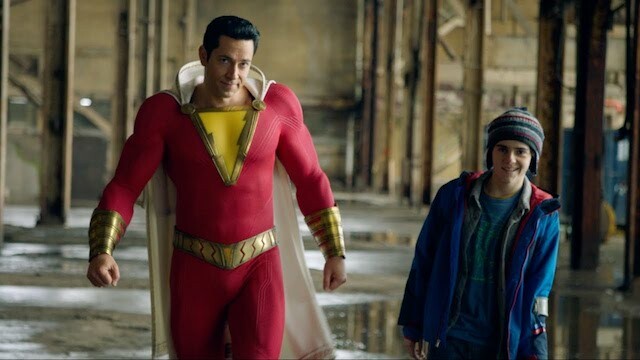 Can you keep #SHAZAM’s secret after watching this EXCLUSIVE clip? We’ll be seeing a lot of Shazam! in the weeks ahead, as DC Comics and Warner Bros. ramp up hype for the film. It should start off April on the right foot. Shazam! opens on April 5. What do you think about the new preview scene? Let us know in the comments below!